Can you answer ‘yes’ to any of the following problem statements about your logo? 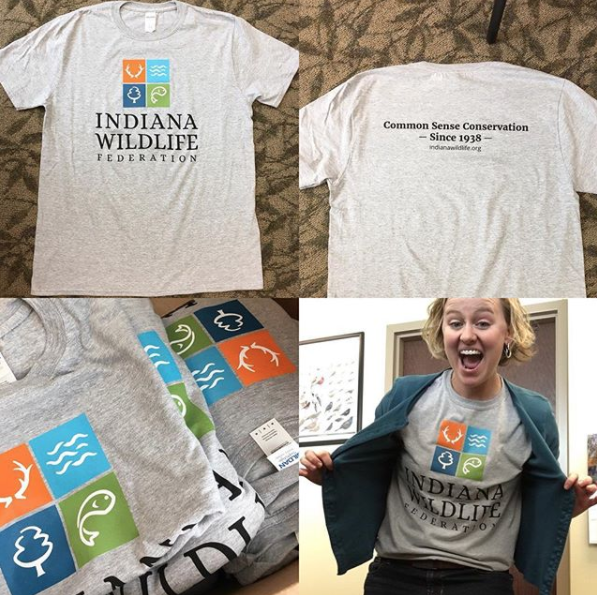 Here’s ten tips with examples to help you be better at designing effective promotional materials around your nonprofit’s logo. Plus supporting advice from seasoned communications professionals who are in the trenches! Two to four colors is plenty. Logos with transparencies and gradients are trendy because they add visual depth and volume. The problem is that they can be difficult and costly to reproduce. CASE STUDY – Learn from our mistakes! Stone Soup Creative designed this logo for a catering company with a social mission. The “cabbage hands” originally had several shades of green, and the organization found they had trouble reproducing it. Even the words “cater to you” have a subtle orange gradient. After a few years of struggling to make it work, we simplified it for them so it was only two colors: green and orange. We used tints of one shade of green which cost less when they printed spot (Pantone) colors on a printing press. The logo is not the only element of your brand identity. It is a part of the whole picture, but not THE whole picture. You will be utilizing the logo in context within an entire brand system, with other elements such as color, typography, images and messaging to complete your unique story. Your logo is a valuable marketing asset. Make sure it’s used the correct way by being a good brand ambassador. Brand Standards are your handbook. This can be a simple PDF provided by your designer that includes the logo; how it should be used to achieve consistency of appearance across media and channels – with examples for stationery, social media, or whatever materials you use most often; colors; and a couple of font families (typically the one that’s in the logo plus another that pairs well with it). 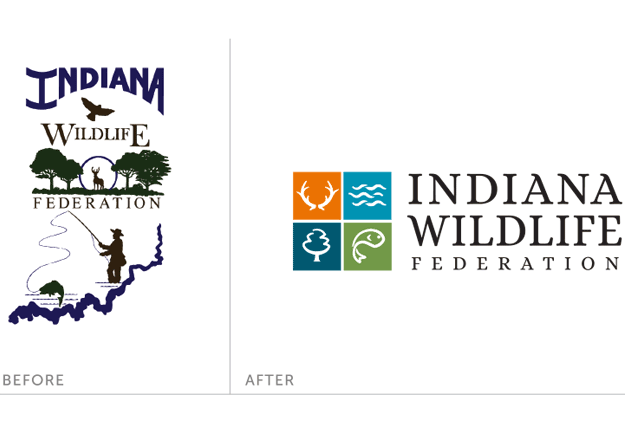 Indiana Wildlife Federation’s logo was too fussy before. We simplified it. It’s entirely acceptable to have a logo in different configurations. A logo that’s a vertical “stacked” shape is the most flexible to use across a variety of applications (think about that 170 x 170 pixel Facebook profile image). If the name of the organization is removed, will just the icon look good enough to stand on its own? Can it be adapted to fit into those little spaces allotted for social media avatars? Small firms or solo designers can be more nimble and responsive to client requests and questions. It’s preferable to hire one that specializes in working with nonprofits since they may be familiar with unique nonprofit ‘tics’, such as the way in which NPOs are structured, make decisions, and their budget limitations. Additionally, a graphic designer with corporate-only experience may be unaware that the choices they make in their design – that everyone falls in love with – may hold pitfalls later on, such as being too complicated and costly to reproduce. What am I missing? Would you add anything critical? Please comment and let me know.